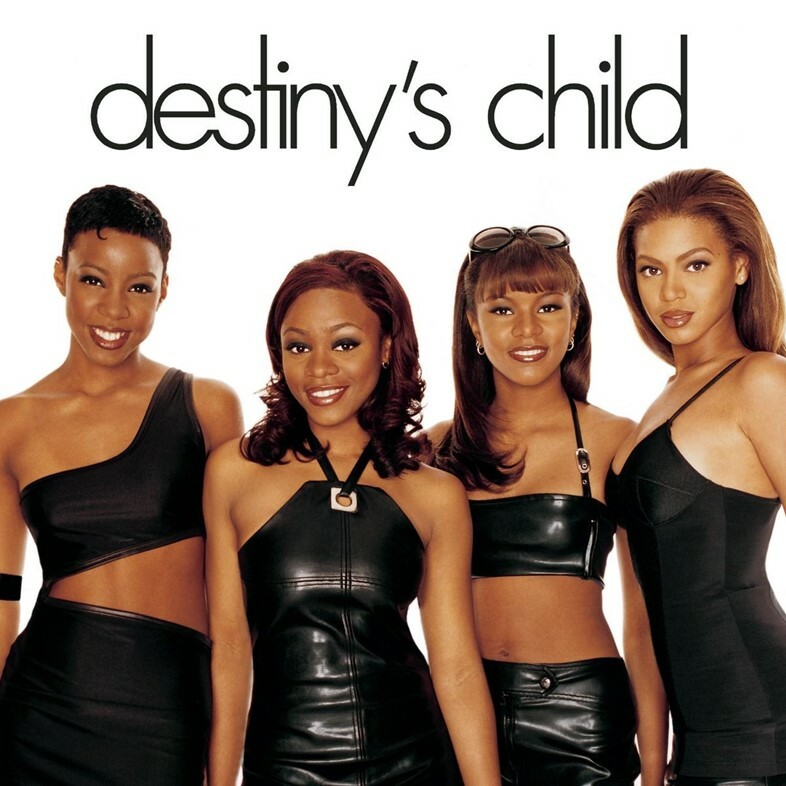 When Dazed sat down with Destiny’s Child about 20 years ago, the band was so unknown that the writer had to expand on the 17-year-old lead singer’s name in parentheses – “Beyoncé (rhymes with fiance)”. It’s hard to imagine a world where someone wouldn’t know how to pronounce the name of music’s biggest star. But when the group released their debut record 20 years ago at the end of February 1998, they were emerging from relative obscurity. 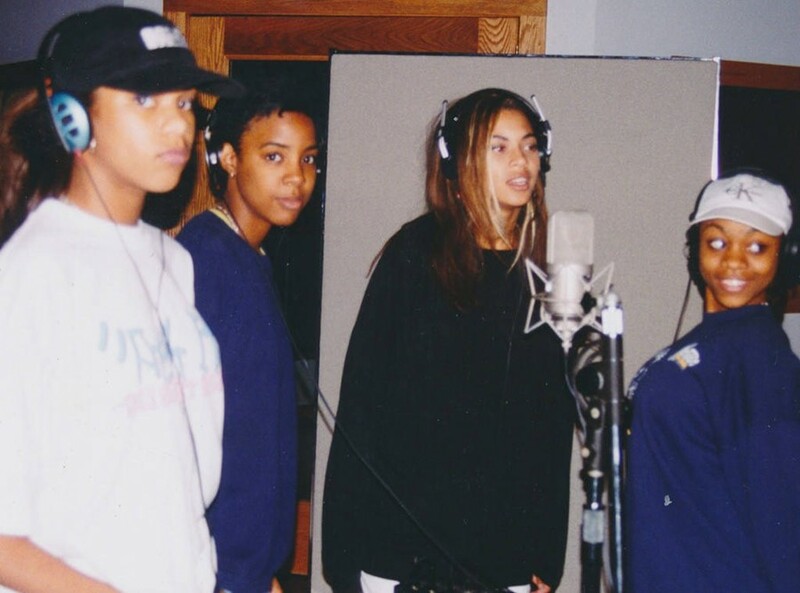 Beyoncé Knowles, Kelly Rowland, LeToya Luckett, and LaTavia Roberson made R&B history with their hit single “No, No, No Part 2” produced by Fugees mastermind Wyclef Jean, and under the watchful eye of their manager, and Beyoncé’s father, Mathew Knowles. The record was a huge success, peaking at number three on the Billboard Hot 100, though the album itself failed to garner as much attention. But despite the slightly lukewarm response to the first album, the second quickly followed. Within a year they released their better-known The Writing’s on the Wall. The album’s ominous title may have cursed the fortunes of two of the band members, LeToya and LaTavia – after its release, the pair were axed from the group. The shock departure from the group sparked media speculation that the group’s rift centred on in-fighting, jealousy, and behind-the-scenes favoritism of Beyoncé. We caught up with LaTavia, Wyclef, and Mathew to revisit the group’s humble beginnings, the pivotal single that changed their destiny changed forever, and an infamous rift that ended the decade-long dreams of Beyoncé and Kelly’s childhood friends. Mathew Knowles: My college friend and fraternity brother David Lombard and I would always laugh and say that one day we would have the biggest girl groups. He went on to put together En Vogue. I personally put together Destiny's Child. The girls were signed three times before we recorded this album, which I executively produced. LaTavia Roberson: I got an audition for a talent show called Star Search through my modelling agency. I literally sat in line beside Beyoncé and we auditioned on the same day. I made the cut, and clearly she did too. We formed a group called Girl's Tyme. I'm being facetious now by saying it was about 12 of us, but there was a lot – we had a hype master, two to three lead singers, background singers. I was one of the dancers, and then I became a rapper. We went through about 15 different names, from Girl's Tyme to Cliché. Then I got asked by Mathew Knowles to come to rehearsals one day for another group. Mathew Knowles: I quit my job at the time. I worked for 20 years quite successfully at Xerox. I had to prepare myself as a manager and prepare (Beyoncé) as an artist. I made sure we built a very good team – from entertainment attorney, booking agent, road manager, I wanted to surround her with a really great team. LaTavia Roberson: I was in the fourth grade, and Kelly was in the fifth. I met her and we became friends. I would go to her mother's house a lot and we were playing Barbies, and she had this huge Barbie doll house in her closet and we were listening to Whitney Houston – who Kelly loved. She was signing “I'm your baby tonight”, and I was like “I'm in a girl group, I think that you should come and try out. Your voice is great.” My mother and I took her to rehearsals and she tried out and that was great. A year later Beyoncé was going to school with LeToya and they were doing a Pinocchio play and we heard LeToya sing – that's how we became the four. Miss Tina, Beyoncé's mom (the group’s costume designer) one day she was looking through the Bible, and she just opened it up and our picture fell out, she saw the word ‘destiny‘ and it just spoke to her, so we were called Destiny for a while. Once we got signed with Sony Music, they added “child”, because it was like the rebirth of destiny. My dad was supportive, but we had to have a mother on the road – and my mother was our chaperone. So my mother was with me the whole time. We later signed a group management contract, and Mr Knowles made us sign individual management contracts as well. Wyclef Jean: I was approached by Sony Music / Columbia Records, they were like “there's these four girls you gotta go check them out”. I went to see them in the Hotel because before I can do a song, I have to hear the artist raw, you know what I mean? Like, no piano, no nothing, just acapella. The best I could describe it was raw talent. I said to them, “I'm from the church, sing a church song for me”, and they started singing, Beyoncé of course was on lead. I just fell in love with the group. LaTavia Roberson: One day we were going to pick Solange up from school, she was in middle school at the time then we heard “No, No, No” on the radio. Solange ran out screaming ‘Oh my God! My sisters are on the radio!’ People think that once “No, No, No” came out, (we) were an overnight success. But we actually weren't. We had been seeking a record deal for eight years. It was a long journey. It really, really, was. It was so great for us seeing the hard work pay off. It was elating, it was wonderful. Mathew Knowles: My joy was seeing the ladies excited. That was their dream. To have them call me, yelling and screaming when they heard it on the radio for the first time, that gives any father joy, any manager joy, put either hat on that you want. I was excited for my group and for my daughters. Wyclef Jean: Everyone just felt the formula that I came with. I guess they thought that could be the blueprint moving forward. After that they had the formula, once Uncle Clef gives you the formula, he keeps it moving. That's what all the kids call me. Uncle Clef. Wyclef Jean: I always knew Beyoncé wanted to know more (about the music business). I remember Destiny's Child was opening up for me (on tour). After Beyoncé would get off the stage, she would literally stand on the side of the stage and watch the show. I knew she was gonna be a problem for other artists because she's actually learning the entire culture, she studied. Mathew Knowles: It’s extremely, extremely difficult (mixing business with family), especially if you have a group it becomes more difficult because you have to treat everyone equally which becomes very hard. And then also not to bring work home, and leave it at the office because that's very hard when you're living with your family. In this case everyone in the family was living it, including Miss Tina. LaTavia Roberson: My issue was always with the management and never with the girls, ever. There was a letter that LeToya and myself sent out and we were supposed to have a meeting. There were just some things that I started to notice and I asked questions about – I can’t go into specifics. We just needed a business manager to come in and be with Mr Knowles. We never tried to fire him as the group's manager like the media said – we couldn't do that. My mom was employed by Music World Entertainment. I actually went behind my mother's back and got an attorney, because there were just things that I started to see and I'm was thinking, “Okay, I'm young, but I'm not dumb. I wasn't born last night.” I had to take things into my own hands at that point. My mother was not happy when I did what I did, but the simple fact that this man, Mathew Knowles, has been fired by everybody that he's managed – clearly I didn't do what I did in vain. Kelly fired him, Michelle fired him, his own daughter fired him. I think I just got a heads-up earlier because I was gonna be replaced anyway, so I feel great about my decision. I found out that I was out of the group when I saw the “Say My Name” video on TV. That was very hurtful, even 20 years later to still have to talk about that. My story hasn't changed in 20 years. I didn't quit the group. I was a part of one of the biggest girl groups in history – who would leave Destiny's Child? Wyclef Jean: When you look today, nobody has filled the Destiny's Child shoes yet. It's like a void. They had consistency, hard work. Mathew Knowles: The group were, and are still, incredible women who are very passionate about what they do. When you're passionate, you get to live your dream everyday. Sometimes this comes with some mistakes, but you have to look at those as opportunities to grow, and they did, we all did. Overall, Destiny's Child had some great years and I would love to see the ladies reunite one day. I guess the hardest thing about the breakup is that it was like a marriage that just went wrong. I just went to LeToya's wedding – it was beautiful. I have spoken to Kelly but this was some years ago. I haven't spoken to Beyoncé, but I really don't think that there's any hatred between us. People should remember we were very young. We prayed together, we prayed for our record deal, and we loved what we were doing together. Those are my sisters, no matter what people say.